Despite my last name (which I married), I don’t have a Celtic bone in my body. They say everyone is Irish on St. Patrick’s Day, but I’m not. Nope. I’m still half Swiss and half Polish. I don’t even wear green despite the danger of being pinched. Kelly green is not in my color wheel. I don’t mean to sound as if I’m opposed to the Irish. Some of my best friends are of Irish heritage. If I liked beer at all I wouldn’t mind if it was dyed green. I think St. Patrick was one heck of a good saint – one of the best, in fact. I spent 13 years as a “Shamrock” since this was the mascot of St. Bonaventure Elementary School, and Scotus Junior High and High School (though I’ve never known why since St. Bonaventure was Italian and Duns Scotus was Scottish). But I really do think St. Patrick’s Day is as good an excuse as any to have corned beef and cabbage. The past couple of years, my sister Bec (who also is not Irish) has had us over for corned beef. 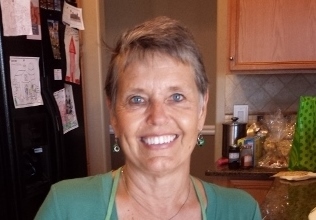 This year, however, she is away for the week, watching her beloved Washington Nationals play spring ball in Florida. Go Nats. They’re also not Irish. So I’m on my own for corned beef and cabbage, which admittedly is not rocket science to prepare. In fact, I recently learned that it isn’t even particularly Irish. According to Wikipedia (which, as you know, is NEVER wrong), they rarely even ate beef in Ireland, preferring pork. It wasn’t until the Irish started immigrating to the United States and found the cost of pork prohibitive that they started eating beef. Bottom line: corned beef and cabbage is about as Irish as spaghetti and meatballs is Italian. Now you think I’m going to offer a recipe for corned beef and cabbage, but you’re wrong. Just stick your corned beef in the crock pot with some water, the spices, and some carrots, and enjoy your meal eight hours later with a side of braised cabbage. Nope, I’m going to do you one better. 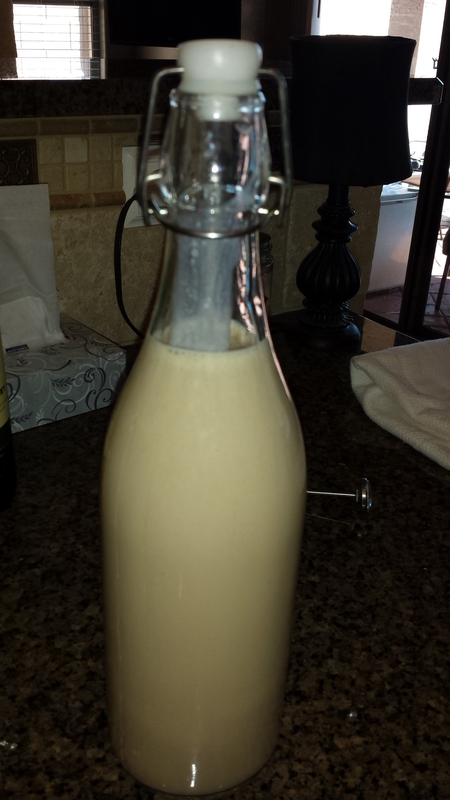 I’m going to offer you a recipe for homemade Bailey’s Irish Cream. Take it up a notch and make some ice cubes out of coffee. 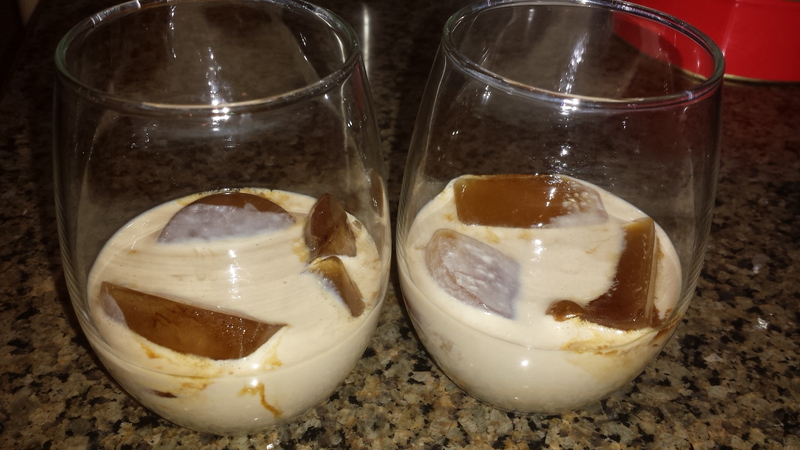 Serve your Irish cream over the coffee cubes. Thank you Pinterest. Now, what do I do with a fifth of Jamison minus 1-2/3 cup? 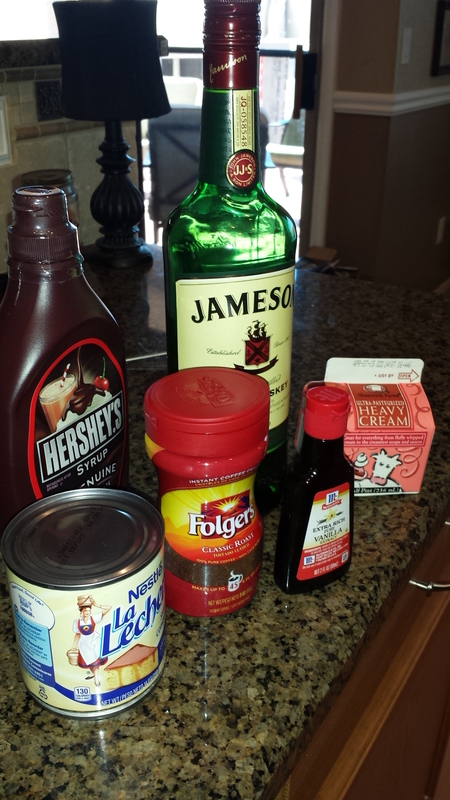 Oh, I know; make some more Irish Cream! And as they would toast in Ireland….May you live to be a hundred years, with one extra year to repent. Those Mryzlaks had a way of going just one step above everyone else, didn’t they? I bet her older sisters did it too. I remember like it was yesterday when she walked into the classroom I was thinking, why, why, why! I have to tell you I have no recollection of Teri with green hands. I think Suzi might have been a Mrzlak unto herself. God love them all! Do you remember she’s married to Dave Melliger? My childhood encounters with corned beef and cabbage were kind of a nightmare. We always went to a small town in Nebraska to visit my great grandma over spring break which St Patricks Day inevitably fell. The town only sported two restaurants as it was and on March 17th they only offered one item-corned beef and cabbage. Year after year, I starved until my parents would stop at the Pump and Pantry to get me a snack on the way back to the motel. Torture, I tell you. Then I ate corned and beef and cabbage when I was around 20 and thought it was pretty good! But as a kid, there was nothing worse. Ah-ha! Then you have a first-hand understanding of your son’s reluctance to try new foods! I absolutely love corned beef and cabbage. Corned beef is probably my favorite meat and as a youngster the Jacobi household ate a lot of cooked cabbage. No Irish in me. German, Polish and Bohemian. I love it too. And my brother Dave is coming over to help Bill and I eat our honkin’ corned beef brisket!